Hey Everyone! Long time no blog- sorry about that- but i wanted to let everyone know that I’m still here so early this morning I recorded a little message to give you a little update on things. Happy Tuesday Everyone! Hope to be back blogging soon! 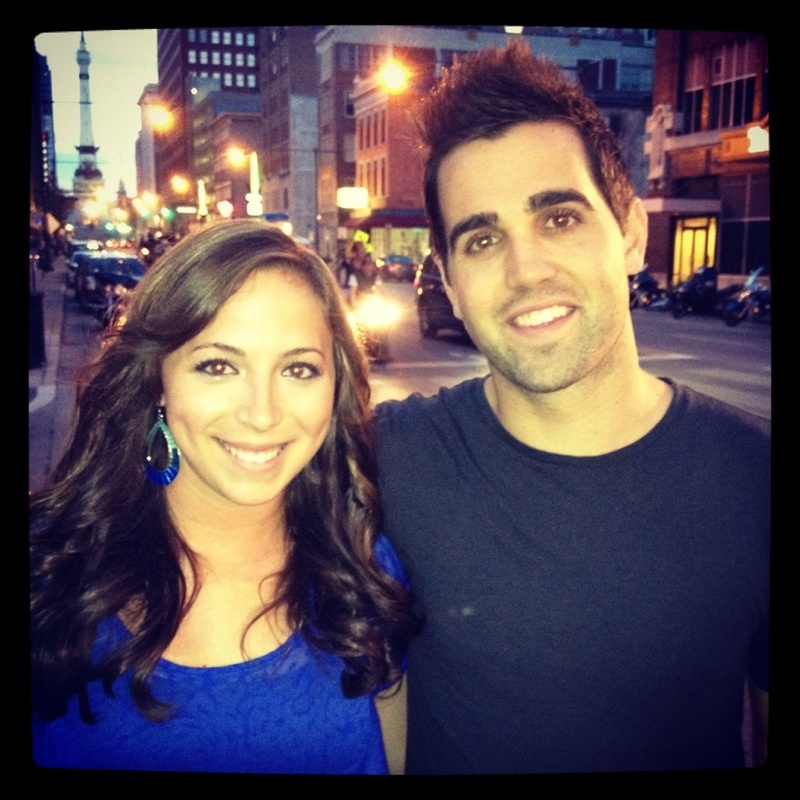 Indianapolis Bloggers Interview Kelley James! Last week I posted a preview of an awesome upcoming interview that I was going to be doing with singer/songwriter Kelley James, but you have probably noticed that you have yet to see anything from that…until now! I apologize for the suspense, but I was working really hard to make this post especially great for all of you. Great work takes time, right? To catch you up to speed, I traveled downtown to interview Kelley and it went really well! He’s very down to earth and does a great job in an interview. He really has a vision for his music and he likes to be as creative as possible with his songs which makes him very unique. So without further ado, check out my interview with Kelley! My friend Courtney came with me and helped me film the interview and my friend Joel helped me produce the video. Please give them a shout out for being a big help in putting this together! Also, thanks again to everyone at SLE Entertainment, Red Bull, Kelley James, the Kelley James Team and Indianapolis Bloggers for the interview and entrance to the Moto GP After Party to watch Kelley perform. If you would like to read the full interview, I have included it below. Enjoy! Kelley: Whats up Team! We’re here in Indianapolis, one of my favorite places to come roll through. I’m a big Midwest fan, but I grew up in California so I had to take a 5:50am flight to make it out here but the weather’s beautiful, watching a little sunset here in the background and I’m going to answer some questions for you! Kelley: I started playing music when I was 12. I got a guitar, but it wasn’t necessarily a focus, it was more of a passion or pastime kind of hobby. For me, I always knew what I wanted to do. I had this gut feeling that’s what I was meant to do, and I was able to figure it out and was able to do it once I got to college and just worked to make it happen. I’m still trying to make it happen. What was the very first venue you played in? 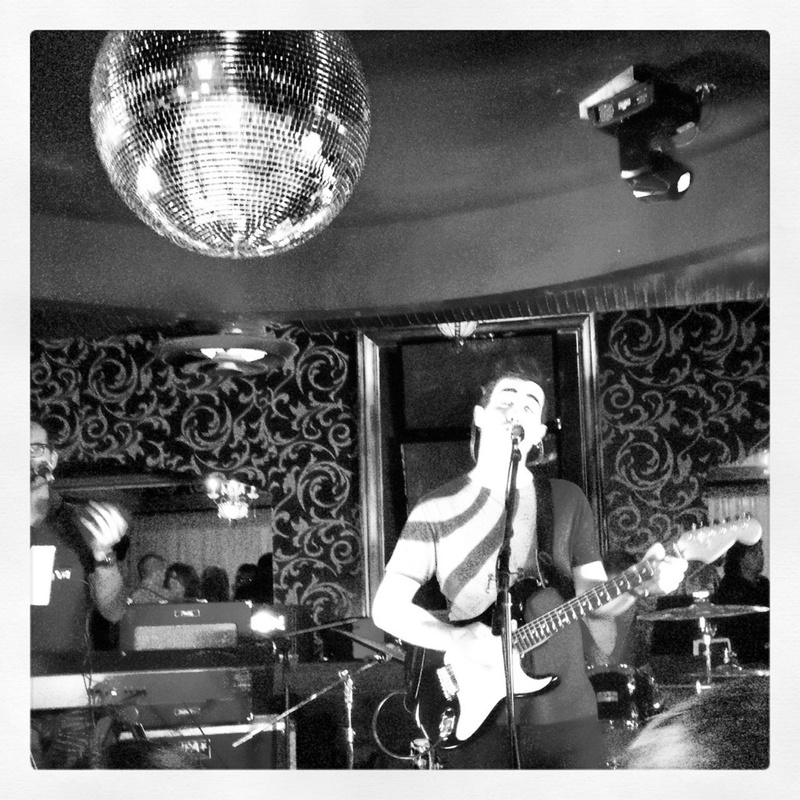 Kelley: My very first show, like when I was in high school? My first show was when I was 15, it was a battle of the bands in high school. In the gym, the old gymnasium (joking). My band then was called “Lime Strike” and we definitely thought we were going to take over the world, not even a question. In listening to your music, you have a very unique sound! Who are some of your musical influences? Kelley: I grew up listening to grunge music, that’s the music that I discovered on my own. Nirvana, Sound Garden, Stone Temple Pilots, STP, Pearl Jam, the list goes on. For me, it was that music that really sparked my interest to what music was and what it meant. The singer/songwriters really were a big influence. Then it was everyone from Sublime, Ben Harper, Jason Mraz, John Mayer to Dave Matthews Band, OAR, Dispatch were huge for me. Those guys showed me that you can sing, play guitar, and write your own music, tour, do it all, and you could be the entity that pushed out creativity on a consistent level. You’re also unique in that you rap. Where did that part of your music come from? Kelley: I grew up in California, so hip hop music was always there. For me, it was something I just listened to. I play guitar and I sang so I always wondered, and still do wonder what the ultimate (quote end quote) mash up of those two styles is and where it connects on the most powerful meeting point. So I freestyle, I rap and mash up old school rap songs with other covers and my songs so I think it was a natural progression to get to that Summertime on my mind rap style verses. Kelley: Good question. I really like the song I have called standing on a rooftop. It has a reggae feel and the chorus is a little more rock. The way it feels when we play it on stage is my favorite. Favorite cover would probably be ‘what I got” by Sublime. Everyone knows that song and it crosses so many different genres of music. There’s a little bit of reggae in there, a little bit of hip hop, they always add punk elements to what they did, but it’s kind of a pop song. So if you’re a hip hop guy, or a rap guy, or a punk guy at the core, you just have to relate to it. You said you were a Midwest fan, where have you performed in the Midwest and what was your favorite Midwest spot to play so far? Kelley: I’ve played all over. When I graduated college we started what we called “The Fraternity & Sorority Tour” so we played private shows at sorority houses bringing the sound system just playing these 80-100 person shows, and then played fraternity shows on the weekends. So I’ve played at a lot of schools around the Midwest. I love Indiana; I’ve played DePauw a lot, Indiana University quite a few times and Purdue a few times. I also love Chicago, and I’ve had great show sin Missouri, but Indiana’s been great – really, really great! As I was looking at your website, I saw that you are involved with a very cool organization called “Strikeouts For Troops”. Tell us more about the organization and how you are involved. Kelley: A good friend of mine pitches for the San Francisco Giants, his name is Barry Zito, and he’s really passionate about giving back to the military. There are two things I’m really passionate about: one would be the military (my father was in the army) and kids. So I love anything from Ronald McDonald house, children’s hospital, anything involving kids – sports programs, anything for the development of kids is so important. So Strikeouts for Troops for me is just a great organization. Its 100% of every dollar goes back directly to the cause. And he personally funds so many little things that aren’t publicized, just making families comfortable while one of their loved ones is in the hospital, after coming back from being shipped out somewhere. And I get to do so much in my life, so many amazing things, it’s really not possible without the military. They protect us, they give us this freedom. It’s because of them that I can stand here, do an interview and go play a show tonight. So many people have given their lives so that we can have such a wonderful, wonderful existence. They sacrifice everything for that, so the military to me is very, very important. Strikeouts For Troops does everything you could imagine. They host baseball games and bring families out to games, give them tickets. Now we’re looking into doing live shows so we’ll bring in military. He’s doing a huge event in San Diego this November that I’m going to pay. It’s on the USS Midway, that big ship where they play the college basketball games. They’re just working on, number one, just spreading the word and making sure that certain families and certain military persons in situations have the means to deal with any hardships that might be happening in their lives. Let’s switch gears back to your music – In your video, “Summertime on My Mind” you were surfing and playing volleyball. Are those some of your favorite hobbies? Kelley: Surfing for sure, I surf every day when I’m home. Volleyball – every once in a while. I’m not a crazy beach volleyball person but I love it, I’m just not that good But that video is sort of what I do in the summer. Hang out at the beach and with buddies at their houses. My studio is in Santa Monica so it revolves around that summer-y beach vibe. Kelley: Hmm… I want to think of something good! For life, it would have to be something to do with travel. I really want to go to Africa, I want to do the whole safari vibe. And maybe surf a legendary wave somewhere; I don’t have anything specific for that, but something with travel. You have two albums so far, so what can we expect from you in the future? What can we expect to see coming down the pipe? Kelley: I have a couple songs that we’re going to release pretty soon. We’re just figuring out different creative ways to get them out there. Probably shoot some more videos. The next song that’s going to come out is called “California” – It’s just my little ode to California. Where can people buy your music or find out more about you? Kelley: All my stuff is on iTunes. And obviously I’m on Facebook and Twitter, but KelleyJames.com links to everything so check it out. SNEAK PREVIEW! Kelley James coming to Indy! I have an exciting opportunity that came my way this week and I just had to share it! Thanks to Indianapolis Bloggers, I get to interview singer/songwriter Kelley James tomorrow before he performs at the Red Bull Moto GP After Party in Indianapolis! This is sort of thing is right up my alley. I was a radio intern in college and I had the chance to interview several country artists. It’s always fun to meet the person behind the music. I am very excited to interview Kelley and I will be sharing the interview with you right here on my blog! National recording artist Kelley James is a singer-songwriter whose music is a fascinating collection of acoustic guitars, hip-hop beats, thoughtful lyrics and freestyle flows. He has shared the stage with the likes of the Goo Goo Dolls, Kate Voegele, Slightly Stoopid, Shwayze, T-Pain, Will.i.am, and more. Kelley recently played a weeklong residency at The Cosmopolitan of Las Vegas in June and just finished headlining the Common Threads Tour for Patagonia in Australia, which makes his fifth tour of Australia to date. Additionally, he has toured the nation with acts such as Mike Posner and O.A.R., and has performed over 600 shows in the past four years. His newly released single, “Summertime On My Mind”, has become a summertime anthem and has received recognition from several viral entertainment sites including BroBible, BuzzFeed, ClevverMusic, Mashable and Tone It Up. “Summertime On My Mind” has been included on Tunecore’s “25 Songs of Summer” compilation album available free on Amazon MP3. The music video features special guest appearances by some of Kelley’s friends including Ryan Braun of the Milwaukee Brewers, Richard Jefferson of the Golden State Warriors, Tone It Up fitness and nutritional experts Katrina and Karena and professional beach volleyball player Chelsea Rashoff. Also, I want you to be a part of my interview! What do you want to know about Kelley? Send me your questions and I will ask him during my interview! I’ll be posting throughout the event on Twitter so be on the lookout for my interview with Kelley! Fellow Agvocate Ryan Goodman Featured on CNN’s Food Blog Eatocracy!! American cattleman and Agvocate Ryan Goodman is making noise on CNN’s food blog! He writes a great blog about growing up in agriculture, learning about ag in different parts of the country, and how we all need to work together to create a better understanding between the ag industry and consumers. Great job, Ryan! I Am Agriculture Proud! Ryan Goodman is a generational rancher from Arkansas with a degree in Animal Science from Oklahoma State University in Animal Science, and is currently pursuing a Master’s degree at the University of Tennessee, studying beef cattle management. He is one of many farmers utilizing social media to bridge the gap between farmers and urban customers. Follow his story daily at www.AgricultureProud.com or follow on Twitter (@AR_ranchhand) and Facebook. So… my day started off like most mornings: coffee and social media, but then a certain email made my day! I am excited to announce that I am now officially a member of Indianapolis Bloggers! 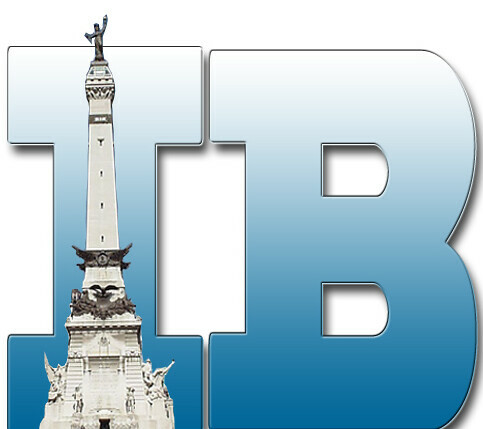 Indianapolis Bloggers is a hub with the all informative bloggers of the Indianapolis area. @IndyBloggers blog about all-things Indy and frequently have posts about upcoming events and activities. I am honored to be joining the ranks of fellow Indy Bloggers like Heather Tallman of Basil Momma and Bob Burchfield of AroundIndy! As a newly added resident to the Indy area, I am excited to join this group to learn about cool things happening around town, as well as share my Indy Adventures as I get to know the city. I have some awesome things planned for this summer and I am excited to share them with you! Be sure to check out me out on Indianapolis Bloggers site! THANK YOU to everyone at Indianapolis Bloggers for selecting me to become an Indy Bloggers member!